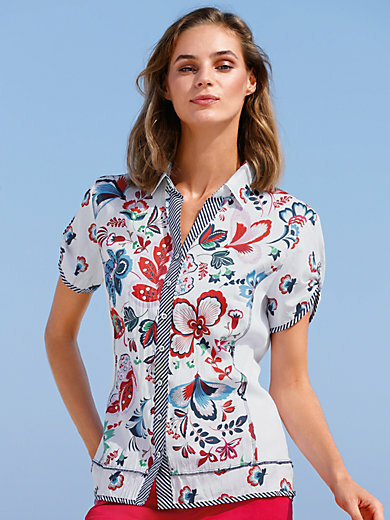 Blouse by JUST WHITE with button facing and short sleeves. The front and back made of crushed woven fabric in 100% cotton with beautiful floral print. The sides are made of white ribbed jersey in 98% cotton, 2% elastane. Cuffs with tab and button. Contrasting details in striped look. Length approx. 24ins. The blouse is machine washable.